Find the perfect Hot Tub. Take advantage of New Mexico’s perfect weather by enjoying the tranquility of relaxing under the stars in a high-quality hot tub from CareFREE Hot Tubs. Come on in for a private test soak today! Hot Spring spas offer traditional, Hydromassage, and directional water jets in combination with an energy-efficient temperature control system to create the perfect spa environment for relaxation. The benefits of hot tub use add up over time. With a routine of just 20-minutes daily, you’ll transform muscle tension to calm comfort, shift from a busy mind to a renewed perspective, and move from simply existing to feeling more alive. Once you experience the Pure Comfort®, design and performance of Caldera Spas, you’ll want to make it a part of your everyday well-being. 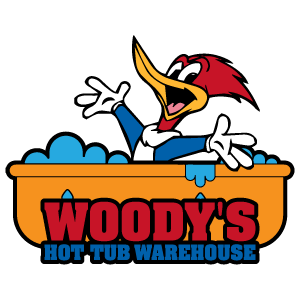 Woody’s Hot Tub Warehouse is the largest dealer of hot tubs and swim spas in Albuquerque. With seven premium hot tub and swim spa manufacturers, we have the most robust selection to choose the perfect model for your home or backyard. Be the first to learn of specials and deals that could save you money!